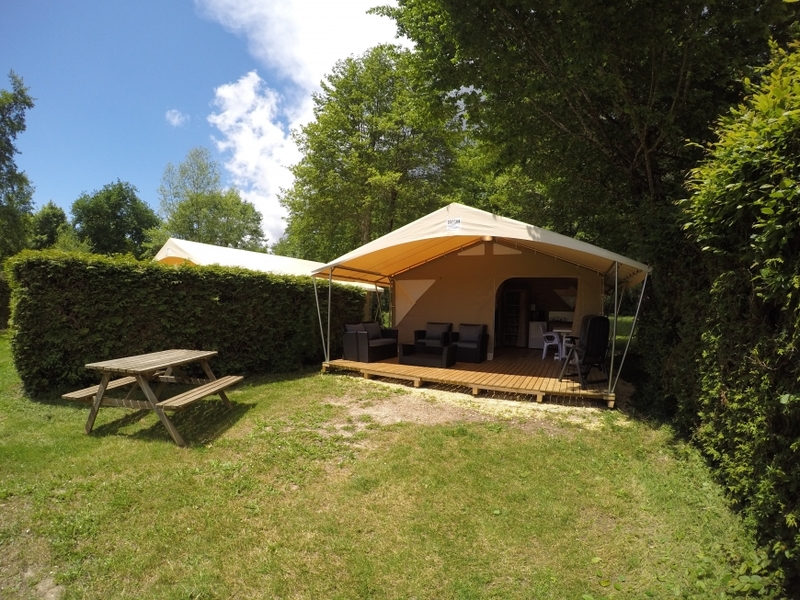 The safari tents offer provide an elegant way to camp in combination with modern comforts, Glamping. 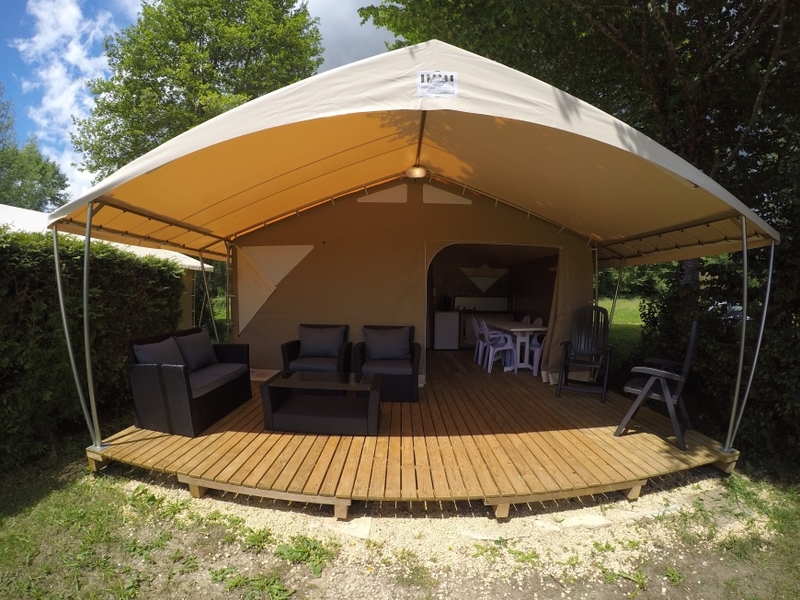 The Safari tents provide ample space for five people. They have a great European success. 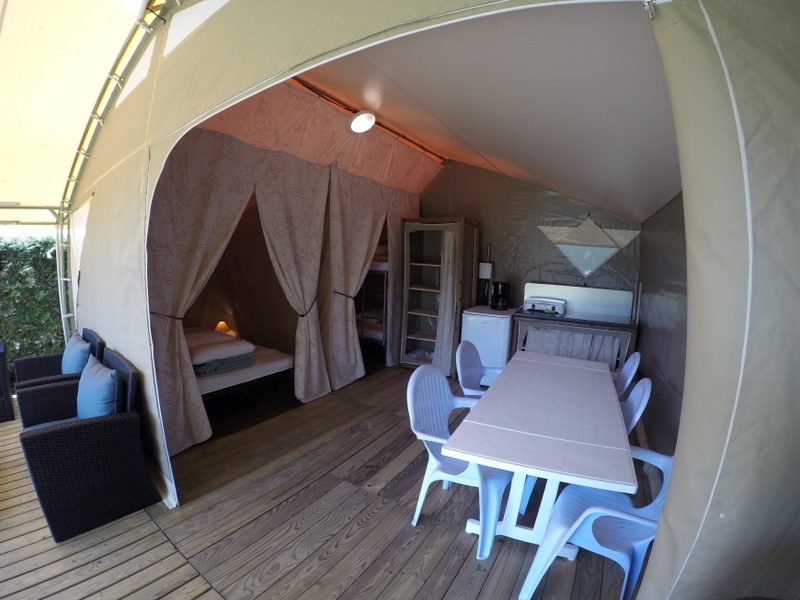 The safari tents are decorated and equipped with a wooden floor. With an interior space of 20 square meters, 3 meters high and are provided with a covered terrace of 12m². On the spacious wooden decked terrace with picnic table you can enjoy your holiday and relax. The 2 bedrooms are arranged to accommodate five people, one has a double bed, the other three single beds with a bunk. The safari tents are equipped with kitchen including a fridge, two gas burners and a full kitchen inventory.